Well, that didn't last very long. 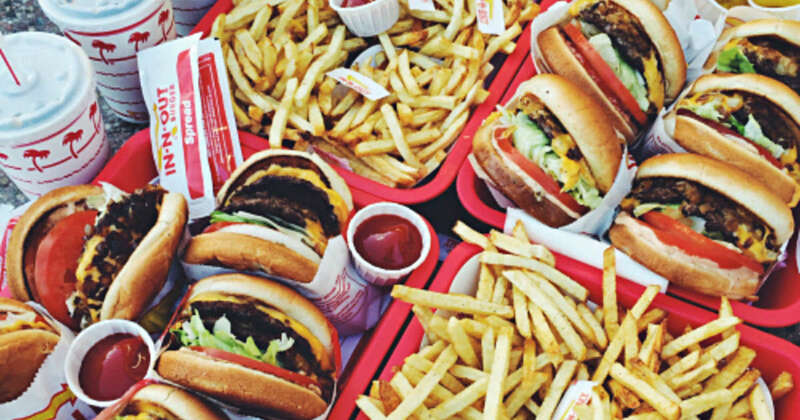 Asking Californians to give up In-N-Out Burger was a long shot in the first place. Might as well ask them to give up Bob's Big Boy and brunch at Norm's in Burbank while you're at it considering how unlikely it is to happen. The California Democratic Party Chairman Eric Bauman made national headlines when made a tweet saying it was time for California liberals to boycott the burger joint over their contribution to the Republican party. Bauman has since renounced his call to action. This Monday he drove into Fresno for a Labor Day breakfast even and afterwards clarified that, "There is no boycott. I put one tweet out at 10:30 at night and it turned into a whole thing." Imagine that, as it turns out Bauman learned that the head of a major political party calling for citizens to stop eating at a restaurant that's as much of an institution in the state as the Hollywood sign. It is suprising it was even an issue considering the company even prints Bible verses on their packaging. This, by the way, comes after the state's party communications director, John Vigna, has reported the idea of of a boycott was Bauman's personal opinion and didn't reflect the official opinion of the California Democratic party. Bauman himself admits that he hadn't even planned on following through with the proposed boycott. In actuality, despite being a fairly Conservative business, they had also previously donated to the Democratic party as well. The VP said more more important than partisan lines are donating to causes related to preventing child abuse, human trafficking and substance abuse. THEIR BOYCOTTS DONT WORK BECAUSE THE MAJORITY PUBLIC DO NOT SUPPORT TOTALITARIAN PLATFORMS AND AGENDAS. TRUE AMERICANS LOVE FREEDOM, THE CONSTITUTION, AND THEIR PERSONAL BILL OF RIGHTS, LAW AND ORDER AND JUSTICE. RENDERS TRUE FREEDOM. WE DONT NEED NO STINKIN GLOBALISTS!!! Any one reading a little WWII history would quickly see the growing Socialist-Democrat side of the DNC s is using Hitlers Brown Shirt (SD) Tactics. In fact the mental and sexual orientation make up of the Brown Shirt (SD) Nazi Leader Rhom matches many of these new wave Socialists. Democrats take back you party. Force the Socialists to form their own and quit hiding inside your rank and file.